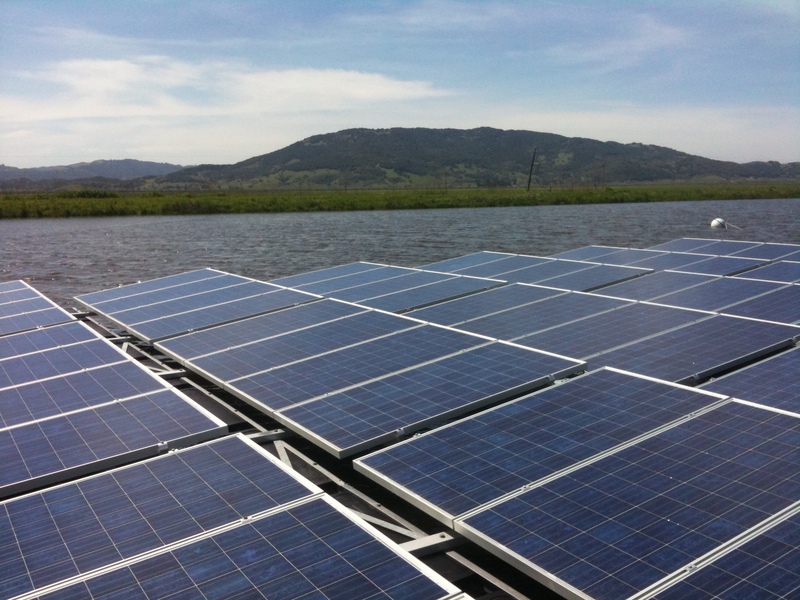 SAN FRANCISCO — In a move that could shake up the American solar industry, General Electric plans to announce on Thursday that it will build the nation’s largest photovoltaic panel factory, with the goal of becoming a major player in the market. The plant, whose location has not been determined, will employ 400 workers and create 600 related jobs, according to G.E. The factory would annually produce solar panels that would generate 400 megawatts of energy, the company said, and would begin manufacturing thin-film photovoltaic panels made of a material called cadmium telluride in 2013. While less efficient than conventional solar panels, thin-film photovoltaics can be produced at a lower cost and have proven attractive to developers and utilities building large-scale power plants. G.E. has signed agreements to supply solar panels to generate 100 megawatts of electric power to customers, including a deal for panels generating 60 megawatts with NextEra Energy Resources. G.E., a manufacturing giant, operates in a range of energy businesses, from nuclear power plants to natural gas turbines. It has been aggressively expanding its energy portfolio, particularly through acquisitions. Mr. Abate said G.E. had completed its purchase of PrimeStar Solar, the Arvada, Colo., company that made the thin-film photovoltaic panels. G.E. said the Energy Department’s National Renewable Energy Laboratory recently certified that a PrimeStar solar panels manufactured at its factory in Colorado had set a 12.8 percent efficiency record for cadmium telluride technology. 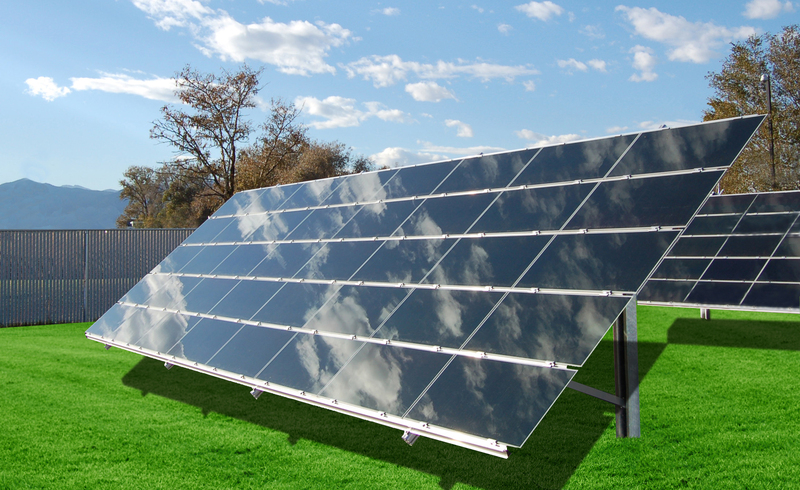 Conventional solar panels typically are 16 to 20 percent efficient at converting sunlight into electricity. “We believe we’ll be a cost leader, a technology leader and we’re excited about our position in a 75-gigawatt solar market over next five years,” said Mr. Abate. The global conglomerate’s entry into the highly competitive photovoltaic market is likely to prove a significant challenge to First Solar, the thin-film market leader and the dominant manufacturer of cadmium telluride panels. Also at risk are start-ups like Abound Solar, a Colorado company that in December obtained a $400 million federal loan guarantee to build factories to manufacture cadmium telluride panels. 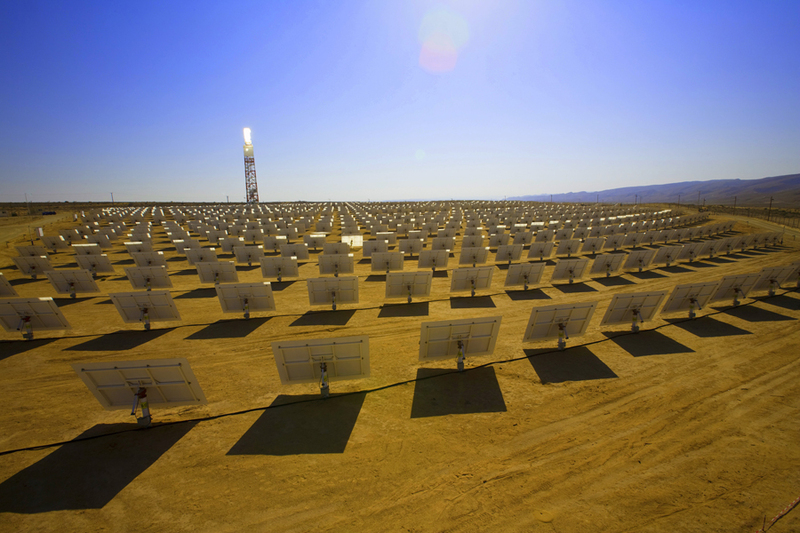 G.E.’s initial panel manufacturing capacity will be a fraction of the more than 2,300 megawatts of capacity that First Solar, based in Tempe, Ariz., plans to have online by the end of 2011. But Mr. Abate said that G.E.’s solar effort would parallel the rise of its wind energy business. “It’s a $6 billion platform and it was a couple of hundred million dollars in ’02,” he said of the company’s wind division. “When you look at G.E., we’re very good at scale. In ’05, we were building 10 turbines a week. By ’08, we were doing 13 a day. Among the standard features offered for new homes at Manzanita at Paseo del Sol, a KB Home development in a desert suburb southeast of Los Angeles, are nine-foot ceilings, six-panel doors and a 1.4-kilowatt solar array. 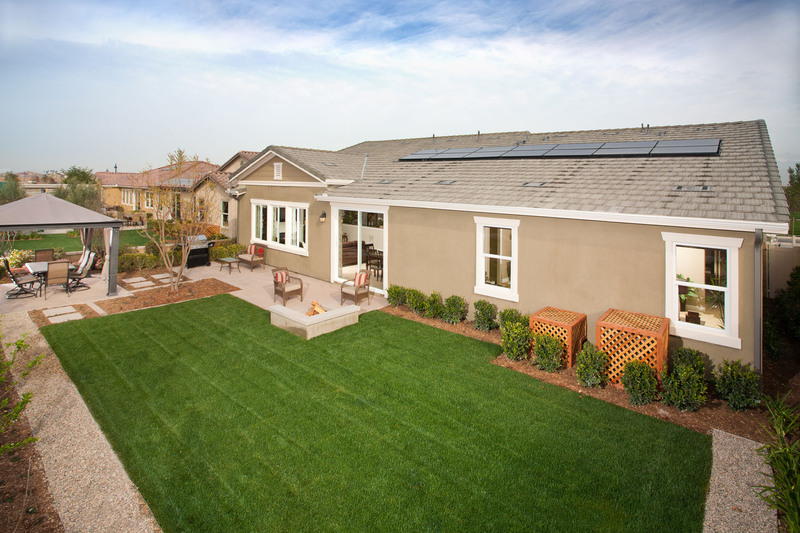 While KB Home has offered rooftop photovoltaic panels as an option for some time, the home builder now will make solar arrays from SunPower standard equipment on more than 800 homes in 10 communities being built in Southern California. “This is a game changer for our industry and a powerful way for us to compete in the marketplace, especially with resale homes,” Craig LeMessurier, KB Home’s director of corporate communications, said in an e-mail. While pricey solar panels are often found on the roofs of high-end houses, it’s notable that KB Home is installing the arrays on homes with base selling prices that range from $250,000 to $360,000. In California, that’s starter home territory. KB Home estimates that the standard 1.4-kilowatt solar array will supply about 30 percent of the electricity for an 1,800-foot to 2,000-foot square home. Of course, that all depends on how much a homeowner runs their air conditioning, for instance. 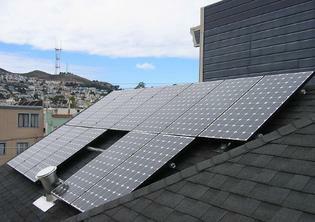 Rooftop solar can be a hedge against California’s high and rising electricity rates. And given the intense sunshine and air-conditioning demands in desert areas where KB Home is building its latest developments, such arrays will generate more electricity than they could in, say, San Francisco. Homeowners will also qualify for a 30 percent federal tax credit as well as state incentives. Where could you get 797 people to stand in line outside a nightclub to attend a $100-a-ticket fundraiser for a nonprofit that advocates for solar energy? Not-so-sunny San Francisco, of course. The queue to get into the Vote Solar Initiative annual spring equinox bash snaked down the street Monday, and even the sun made an appearance during a break in the deluge that has been soaking the Bay Area for the past week. Now, I don’t cover the party beat. But as someone who lived in San Francisco during the dot-com boom of the late ’90s and worked at the leading chronicler of the era, The Industry Standard, I came to see parties as an indicator of any boom. Well, we all know how that ended. There was plenty of drink and slow food to be had at the Vote Solar bash, and a self-confident air of optimism among the largely young crowd. But given the politicians and corporate solar heavyweights like SunPower and Suntech backing the event, it’s clear that the green scene promises to have far more staying power than the dot-com bubble. “We’ve got to make sure this city is on 100 percent renewable energy,” San Francisco Mayor Edwin Lee told the crowd. 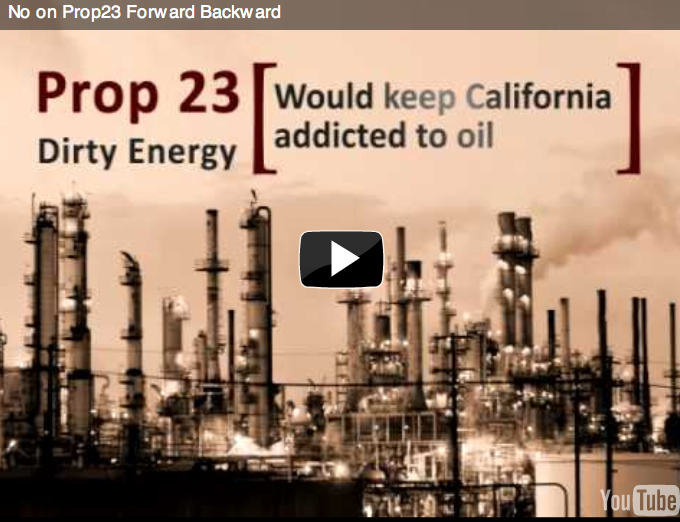 Folks in attendance were decked out in cowboy hats, to commemorate the defeat last year of Proposition 23 — the ballot measure backed by Texas oil companies that would have derailed California’s landmark global warming law. Adam Browning, VoteSolar’s executive director, told partygoers that action on pro-solar policy would shift from Congress to the states. While Vote Solar was born in California, it’s now expanding its lobbying efforts to the East Coast and the Midwest. Another reason to party like it’s 2011. Google Ventures has led a $20 million financing round in CoolPlanetBiofuels, a Southern California start-up that is developing mobile refineries to turn wood chips, agriculture waste and other biomass into biofuels. CoolPlanetBiofuels, an 18-month-old company, has also attracted the attention of ConocoPhillips, GE Capital and NRG Energy, which participated in the financing round along with North Bridge Venture Partners. CoolPlanetBiofuels declined to disclose the total capital that it had raised, but it noted that Google Ventures was a major participant in the series B round announced Thursday. One limitation of using biomass as a feedstock for biofuels has been the expense of trucking low-value waste long distances to a refinery. 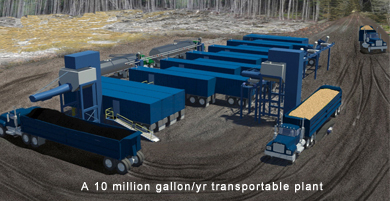 So CoolPlanetBiofuels plans to take the refineries to the fuel source by packaging its machines in tractor-trailers. “Biomass cannot be transported very far because in raw form it has a very low energy content,” Mr. Cheiky said. He said a typical refinery would consist of a cluster of tractor-trailers that can process 10 million gallons of fuel a year. So far CoolPlanetBiofuels has built a small pilot plant that is producing biofuel for evaluation by oil companies, Mr. Cheiky said. He declined to identify the companies, citing a confidentiality agreement. The company expects to have its first one-million gallon mobile refinery operating within a year.